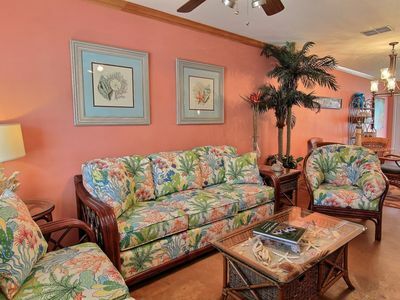 Breezy Safe Harbor Condo, Blocks to the Ocean - Winter Texans Welcome! 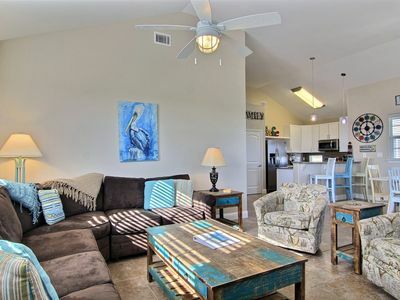 This breezy 2-bedroom, 2-bath condo boasts a desirable location Safe Harbor, just a stone’s throw from the Gulf waters in Port Aransas and adjacent to the community pool. 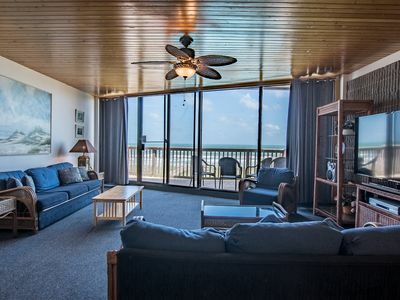 Bring your friends and enjoy a group vacation with other rentals available nearby. Step into a bright and interior where red and blue hues add colorful cheer to elegant décor. 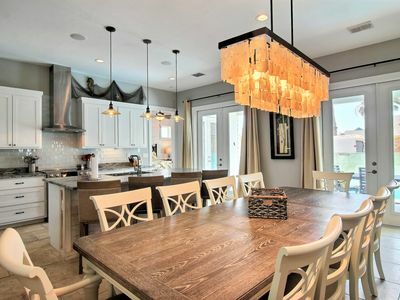 A seashore theme ties every room in this home together, from the open concept living room and kitchen to the airy bedrooms. With extra mattresses readily available, you don’t need to leave anyone at home. Added conveniences like an in-home washer and dryer let you spend less time worrying about chores and more time working on your suntan. 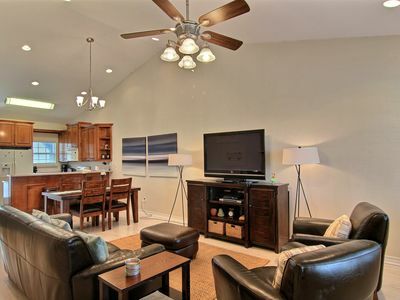 The main living space has an open layout, combining the living room, dining area and the kitchen, with crown molding and tile flooring throughout. A full bathroom with a shower/tub combo is accessible from the living room and a utility closet with washer and dryer is available for guest use off the kitchen. 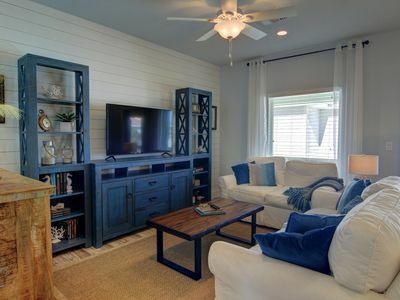 The living room has an L-shaped sofa sleeper, an accent armchair, and a large flat screen TV with cable. 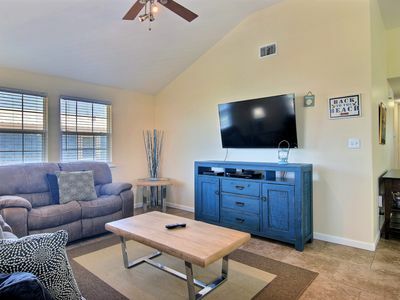 The fully equipped kitchen has updated stainless steel appliances, a bar with seating for three, and overlooks the living room and dining room with seating for 6 for easy entertaining. 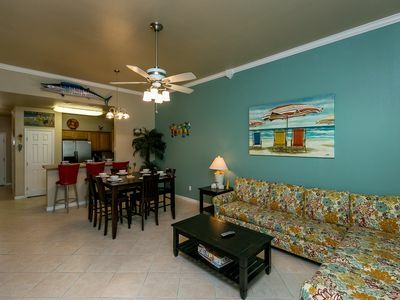 Take a short stroll to the beach and spend the day sun bathing or relaxing in the surf. If you need place to dock your boat for the length of your stay, Island Moorings Marina is quick walk west from your rental. Summon your inner mariner aboard a 32-foot sailboat at Stray Cat Sailing Adventures, a short walk southwest. Head to the 18-hole Palmilla Golf Club, less than three minutes south. Don’t pass up the chance to dine at Shells, the local staple for tantalizing steak and seafood dishes. If you enjoy deep-sea fishing, plan your own thrilling adventure with Dolphin Docks, a quick six-minute drive north. 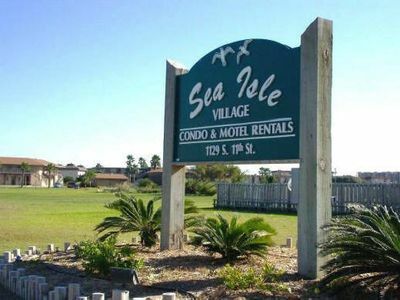 Other activities in the area include shopping, kayaking, bird watching and skydiving. 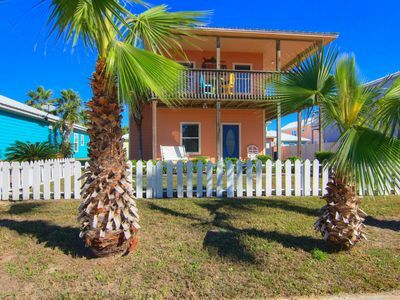 There is something to keep you entertained around every corner in Port A! 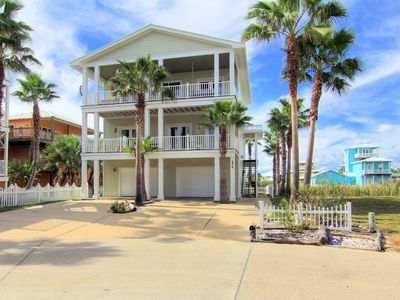 BRAND NEW Sun of A Beach, Sleeps 10, 3 bedroom, 2 bath, PRIVATE POOL, Pets! !